How does this work? Start at the place where you’re staying. These people live there. They know things. Say something like, “We’re looking for a good place to start. 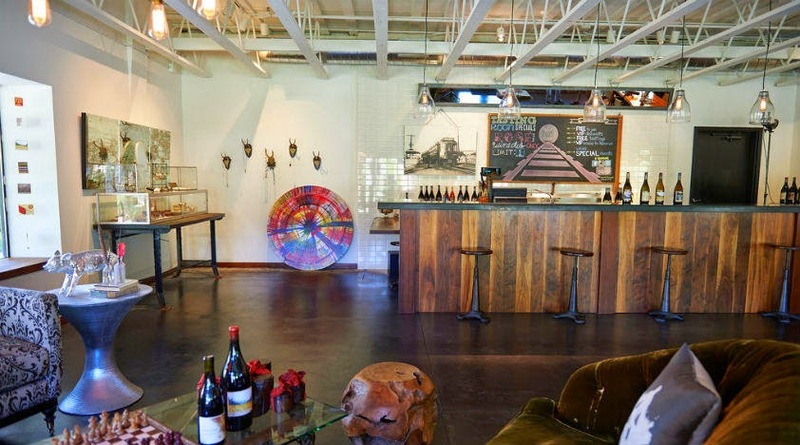 We want somewhere fun, laid back, and not overly pricey.” Replace those descriptors with whatever you want…expensive wines, pinot noir specialists, great gift shop -- whatever floats your cork. You’ll end up with at least a couple of recommendations. Pop in to one of them and do a tasting. Chat. Enjoy. If you feel like you make a connection, then repeat your question to the good folks behind the bar. These people live there. They know things. They’ll mention a couple of other places. Those places will mention other places. Patterns form in the recommendations. You now have your guide. Go forth and enjoy. 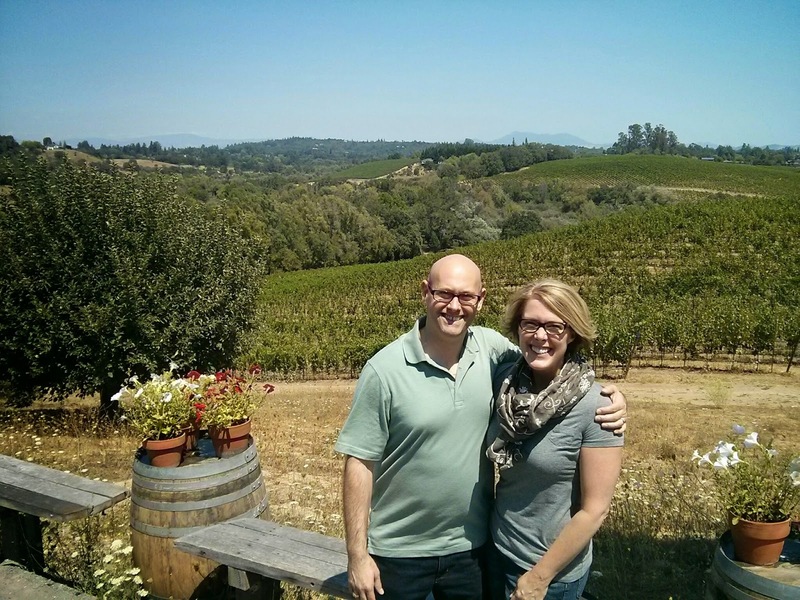 We decided to head back out west again just before school started – this time using the Sonoma Coast as our base of operations, since we’d not done much exploration of that area of this wonderful wine region. The evening drive through the fog from SFO to the town of Bodega Bay was a bit harrowing, but all's well that ends well! We got checked in to the Bodega Bay Lodge (which I recommend once you get used to the foghorn in the bay going off every 30 seconds) and got ready for our new tour of the county. 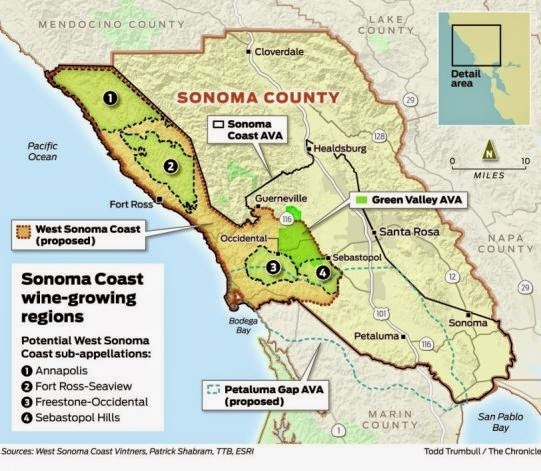 The Sonoma Coast AVA (AVA = “American Viticultural Area” – the designation for a subregion within a growing areas), as you can see, is a fairly large portion of Sonoma County. Most of the vineyards in this AVA are at much higher altitude than the rest of the county You might remember, during my writeup of the last Sonoma trip, that I discovered a preference for “mountain fruit” vs. “valley fruit” wines. Mountain fruit grapes from the generally cooler, breezier climates like the Sonoma coastal region create wines that are less fruit-forward and more subtle in flavor. These areas favor cool weather grapes such as pinot noir, rather than the Cabernet and Zin that you’d find just a few miles inland as the crow flies. The climate also gives an interesting twist to the Chardonnay and Syrah some growers are producing. 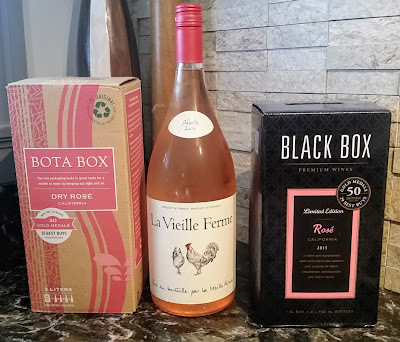 The region also produces some absolutely fabulous rosé. Many of these wines also tend to be somewhat more expensive, as the grapes are more difficult to grow and harvest. It’s easy to burn through a lot of coin ordering stuff if you’re not careful. We started the snowball in Bodega Bay at a wine and gift shop called Gourmet Au Bay. 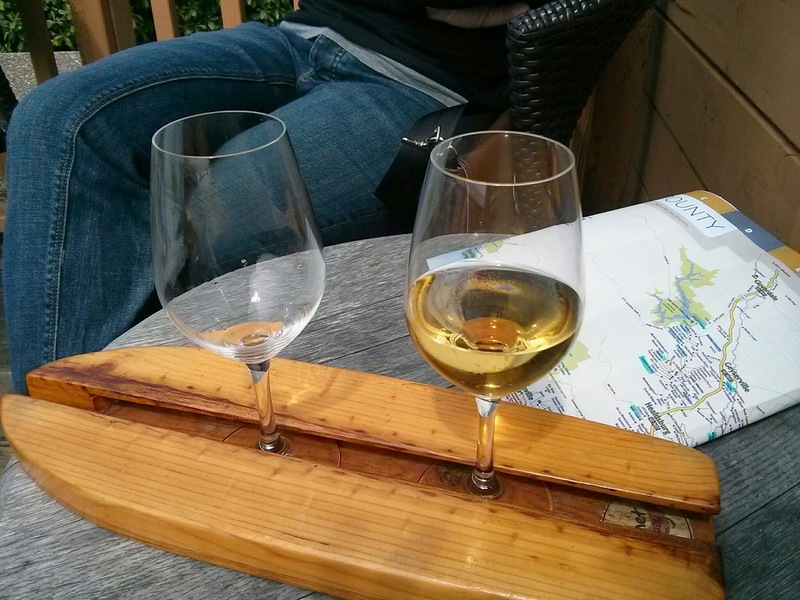 Their trademark is their “wine surfing” samples, in which you get three pours on a surfboart. After a couple of tastes and a discussion about what we liked, we talked to the manager, Sissy, to see what she might recommend. Out came the highlighter and the map of Sonoma County, and we were off. Just getting under way. Two down, one to go. Our return to the scene of the crime...Iron Horse. Red Car's tasting room. Good fun. 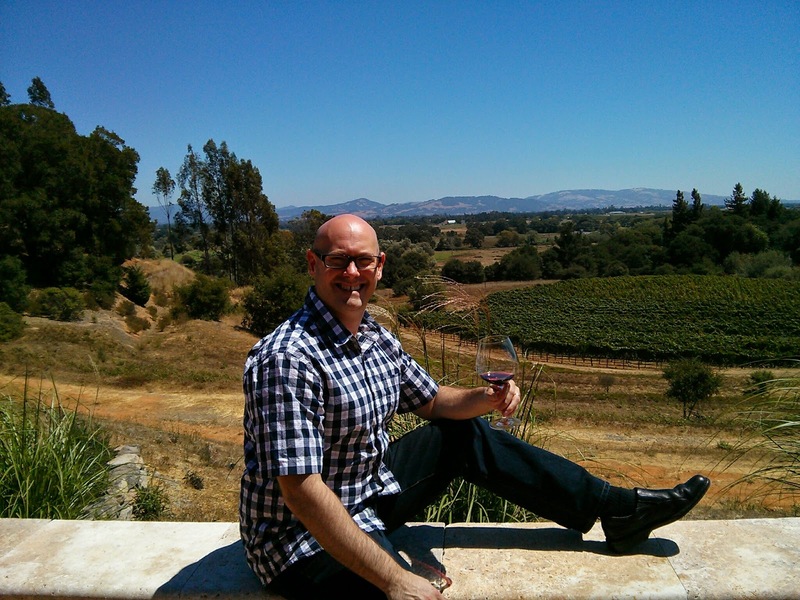 Joseph Phelps Freestone Vineyards – Joseph Phelps is a very accomplished Napa winemaker. He’s produced three cabernets -- his “Insignia” label -- that earned 100 points from Robert Parker, including his 2002, which was named Wine of the Year by Wine Spectator. In 2007, Phelps opened a winery in the Sonoma Coast region for the grapes grown in his new Freestone Vineyards in the Sonoma Coast AVA. The $55 Freestone Vineyards pinot noir was a delicate, wonderfully balanced offering – full of fruit and smoke. We also discovered Phelps’ “second label” wine – Fog Dog – which were perfectly decent pinot noir and chardonnay, although at the price point, there were better wines in the county. We also had the opportunity to try the 2006 vintage of the “Insignia” which would retail for $240 – making it the second-most expensive wine I’ve ever tried. Needless to say, it was a pretty damned good wine. (http://www.josephphelps.com/) I’ll be writing more about Phelps in the future, so stay tuned. Fort Ross Vineyard -- Nice view, eh? 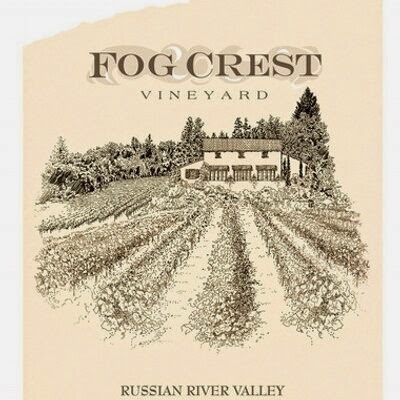 Saying farewells to Sonoma at Fog Crest. If you’re over in that neck of the woods, I'd also recommend driving around Bayshore Drive in Bodega to get some oysters at Fisherman’s Cove (http://www.bodegabayoysters.com/), get dinner at Terrapin Creek Café (http://www.terrapincreekcafe.com/); and snag brunch at Willow Wood Café in Graton (http://www.willowwoodgraton.com/). 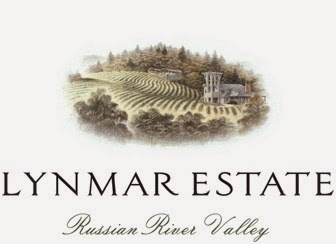 Thanks for the mention of Lynmar! 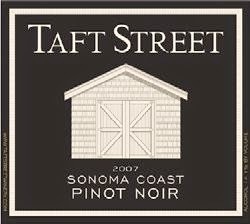 Just so you're in the know, we used to make Syrah, but we stopped a few years back, so now we're just focusing on amazing Pinot Noirs and Chardonnays. Great pictures! !